Waterproof IR Bullet 4 in 1 AHD/CVBS/CVI/TVI Multi Camera. 1.3MP 1/3” H65 + V20E (FH8532E) CMOS Sensor. IR LED: Φ5x30PCS, IR range: 25M. Day/Night (ICR), AWB, AGC, BLC, DNR. Board Lens 3.6mm (6mm is Optional). 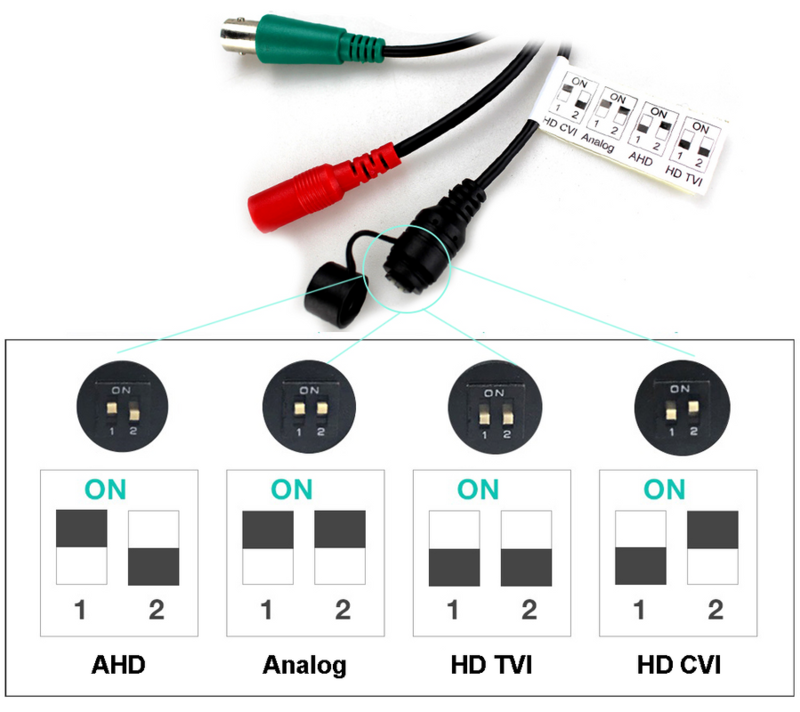 Support DIP Switch 4 mode of video output signal (AHD/ TVI/ CVI/ CVBS).